Cardamom has antioxidant, antibacterial, antiviral, and antifungal properties. This means that it may provide a broad spectrum of health benefits ranging from protecting against cancer and heart disease to reducing the risk of colds, flus, and other infections. Cardamom has been used as a traditional home remedy for various types of digestive problems ranging from heartburn to constipation to intestinal spasms. However, there has not been sufficient research conducted to prove or disprove its effectiveness for any of these uses. 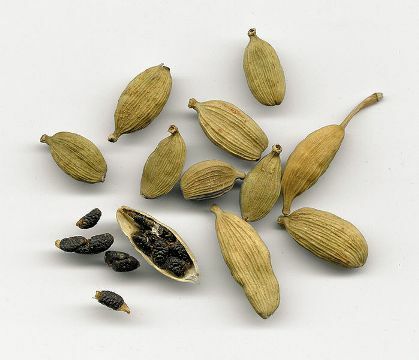 Cardamom is a popular spice in the Middle East, India, and Scandinavia. It’s great in spicy cookies, breads, and sweet-spicy vegetable-based soups and stews (such as those featuring pumpkin), as well as dishes focused around chicken, rice, and/or lentils. It can also be used to enhance mulled wine, tea, and other drinks and as a flavouring for ice cream and yogurt-based treats.